Verdict: Yeah, OK. I could get on board. I love the idea of taking a magical/mystical setting and filling it with bureaucracy for comic effect. And that’s precisely what The Good Place has done. 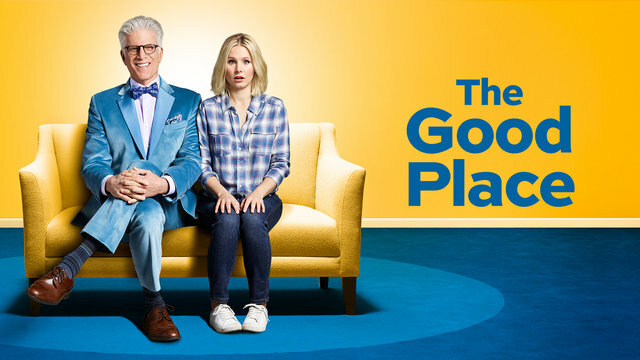 A very bad woman (Kristen Bell) dies and is sent to “the good place” due to a clerical error and she must learn to be a good person - with the help of her supposed soul mate - to avoid eternal damnation. I’m not sure if it is just the right amount of crazy or a little too much. The show it reminded me the most was Sabrina, the teenage witch. I’ll let you decide if that’s a good or a bad thing. Should you watch it? Yes if you are a Kristen Bell fan and if you don’t have a problem with comedies that are on the quirky side.